Need more time? 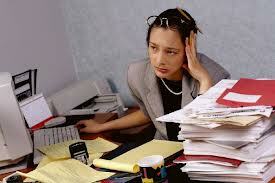 What business owner or office administrator doesn't? Outsourcing to a payroll service can not only buy yourself time, but it also ensures that your payroll will be done right, on time, and without any mistakes. Using a payroll service provider allows you to spend your time taking care of the many other aspects of your business that only you can handle. 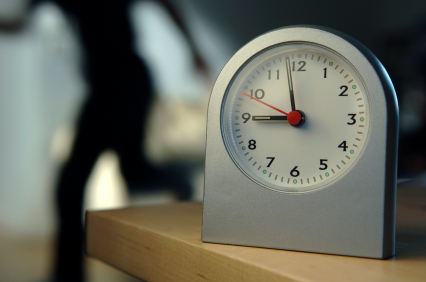 Let's take a look at some of the many ways a payroll service provider can save you time. By law, businesses in Canada are required to set up payroll accounts with the CRA, collect tax information from employees, file paperwork, make deductions from paycheques, remit deductions, and send out year-end forms to both employees and the CRA. Each of these tasks is time-consuming and requires strict attention to detail. Failure to comply with CRA guidelines can result in hefty fines, which hurts your bottom line and causes you to do even more time-consuming work. 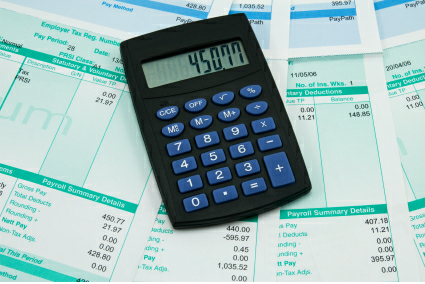 Payroll service providers are well-trained in handling CRA paperwork. They know the ins and outs of payroll deductions, TD1 forms, and taxable benefits. They also have personal contacts at the CRA, making communication with them much easier than it would be for you. Direct deposit is a fantastic way for employees to get paid quicker and not have to deal with making an extra trip to the bank, but managing direct deposit does require some time and effort on the employers' part. 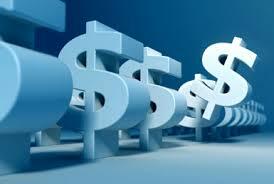 Let a payroll service provider take care of the details involved with employee direct deposit. Your payroll service can handle the paperwork and communicate with employees' banks if anything goes wrong. Don't spend time preparing one more batch of paycheques to take to the postal office. Cutting and distributing paycheques sounds like a quick and simple task, but it's one more thing for you to do when you still have all of your other work to manage. 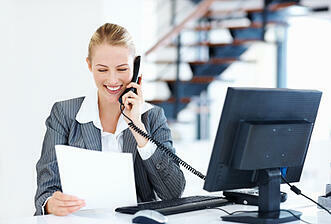 A payroll service will handle the cutting and distribution of paycheques. You won't have to fill out the cheques and handle distribution; you can just focus on doing what you do best. Inevitably, employees have questions about their paycheques from time to time. Often, these inquiries involve questions about withholding and employment taxes. Because a payroll service is well-versed in the details of CRA guidelines and current laws, it can readily answer such questions and put your employees' minds at rest. When you try to handle these inquiries yourself, you often end up having to do research to find out which new law changed, affecting your employees' withholding. This research is time-consuming and tedious if you're not an expert in Canadian payroll accounting. And let's face it: you're a business leader because you're an expert in something else. 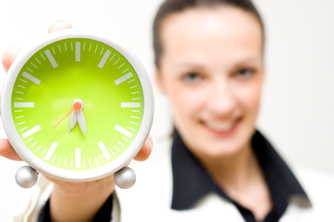 As you can see, using a payroll service provider can save you time in many ways. From dealing with the CRA and its ever-changing guidelines to cutting and distributing paycheques, using a payroll service will eliminate the time you spend doing paycheck-related paperwork. That means more time for doing the things that will grow your business and help you to become an industry leader. The paperwork and legal hurdles involved in payroll management can quickly turn the dream of running a business into a nightmare. There are nearly 200 federal and provincial laws that directly impact payroll and HR administration. These laws are constantly changing and can be applied differently, depending on location and situation. Failure to abide by any of these regulations could subject a business and/or its owners to fines, imprisonment, and possibly the loss of their business. Trying to manage everything in-house can quickly consume too much time, and still doesn't guarantee that a critical detail won't be missed. Using a professional payroll service is a safer option, as long as the owners or HR managers know what to look for beforehand. Every business is different – even businesses that provide the same products and services. Each business is going to have its own specific needs, assets, and liabilities. A payroll service that only offers one-size-fits all packages won't be able to address the necessary particulars. They may provide their clients with generic legislative and policy updates, leaving their clients to sift through it all to uncover the details (if any) pertaining to them. If the client has questions, there may not be anyone knowledgeable enough to help them with their specific issues. A-la-carte packages provide a customizable management solution. Clients can build a service package that is targeted to their specific issues. Whether it is workplace safety issues, legislative compliance, or onboarding assistance, they'll be able to get help that is specific to their industry and situation. Payroll services offering a-la-carte packages can provide assistance and advice that is tailored to the client's business, eliminating the trouble of sorting through generic updates and memos. Many payroll services do nothing more than just issue cheques. They take the data provided by the client, add up the totals, and mail out the paycheques. As any business owner knows, the data isn't always accurate. A small error in accounting can turn into a huge headache as employees are issued incorrect cheques, and the government receives incorrect remittances. A good provider includes error checking and quality assurance as part of every package. The data is checked for obvious errors, and all data is reconciled before cheques and remittances are sent. This helps the client avoid the expense and hassle of correcting paperwork that should have been fixed before it became a problem. Like any business, the reputation of a payroll service is everything. Unlike many other businesses, these providers typically work closely with multiple government agencies. This makes it easier to evaluate their professional reputation. Government agencies like to work with providers that get the job done, and get it done correctly. It means less paperwork, and fewer headaches, for everyone involved. The most reputable providers are well known to these agencies, as they frequently contribute to legislative and policy discussions. Any legal or policy changes will directly impact their business, and any reputable payroll service provider will want to be involved in those changes. Payroll management is a complex endeavour, fraught with legal pitfalls. From calculating CPP and employment insurance premiums, to determining which benefits count as income and which don't, there are thousands of ways to make mistakes. Any one of these mistakes can lead to trouble with the CRA, causing business owners unnecessary hassles and legal troubles. With a reputable provider like The Payroll Edge, business owners get fully customized services that ensure compliance, and protect the business from liability. One of the most important responsibilities of any company is to properly pay its employees. While this may sound like a basic concept, ever-changing government regulations make this a very specialized and somewhat difficult task often best left to a professional payroll service. Choosing a provider that is right for you and meets the needs of your business is vital. There are many options in the marketplace, but not all of them provide the best level of service and expertise. If you are looking for a partner to help your business navigate the world of payroll, here are some of the most important things to take into consideration. Payroll processors typically accept the data provided to them by their clients and simply route it into their software to produce cheques. However, choosing a provider that takes the time to carefully review all payroll data for errors prior to processing can save everyone involved a lot of headaches. When shopping for a provider, ask what types of quality control processes they have in place to avoid sending through payment for errors like an 80-hour work week. While it's natural to shop around for the best, i.e. ; lowest, price, beware of hidden costs. In order to gain more business, payroll services may offer an attractive "base" price, but when you add in all the additional fees for routine services your company will need to use, you could be looking at a hefty price tag. Ask potential providers for their total fee, which would include everything you would need from beginning to end. It may make more sense, and be less expensive, to go with a payroll service that states its complete fee upfront. At last count, nearly 200 unique regulatory legislative requirements were in force that impact small-to-midsize business payroll and HR administration. This is a huge undertaking for any payroll department, even for a large well-established organization. Especially when the penalties are real and big, it's crucial that your business is up-to-date and compliant with all regulations. Payroll service providers need to be experts about these regulations and have specialized knowledge to navigate all requirements. Make sure the providers you speak with have firm processes in place to collect and stay current with all regulations so your company's payroll is always 100% complete, compliant, and accurate. No one looks forward to being subject of a government audit, especially when there are more payroll regulations than most people can keep track of. By ensuring your payroll partner is seasoned in the area of audit support, you can avoid potentially expensive and painful headaches. While many payroll providers offer the same types of services, you may want to use this opportunity to ask what additional services they make available to their clients. Some of the best providers will also be able to help your business with things like employee contract management and workplace standards counseling. In terms of business relationships, none will be quite as important as the one you share with your payroll service. By taking into account some of the above issues, you will be sure you're finding a partner that will take the burden of payroll off your company's shoulders to leave you with peace of mind.